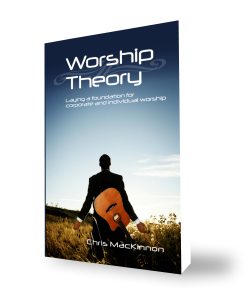 Where the eternal role of worship is one that is probably mentioned most often, and usually by those inclined to be worship leaders or worship focused pastors, in this post I’d like to discuss a role that is not discussed or presented to us regularly. This is the role of the Warrior. Now I saw heaven opened, and behold, a white horse. And He who sat on him was called Faithful and True, and in righteousness He judges and makes war. His eyes were like a flame of fire, and on His head were many crowns. He had a name written that no one knew except Himself. He was clothed with a robe dipped in blood, and His name is called The Word of God. And the armies in heaven, clothed in fine linen, white and clean, followed Him on white horses (Revelation 19:11-14, NKJV). Once again we see those who wear clean, white linen, which is again believed to be the Church. For those that argue that there is no Rapture because Jesus’ Second Coming is His only return, that there cannot be a partial return before this event, they have to explain this army clothed in white as His angels. However, the book of Revelation makes it plain when it is talking about angels simply by referring to them as angels (see 5:2; 7:2; 8:3-12; 9:1, 11-4; 10:5, 7-9; 11:1, 15; 14:6-19; 16:3-17; 17:7; 18:1, 21; 19:17; 20:1, 17; 22:6, 8, 16). And when the thousand years may be finished, the Adversary shall be loosed out of his prison, and he shall go forth to lead the nations astray, that are in the four corners of the earth – Gog and Magog – to gather them together to war, of whom the number [is] as the sand of the sea (Revelation 20:7-8, Young’s). Here at the end of the Millenial reign on this earth, we find ourselves again making war against Satan and those he has deceived (see verse 10) into following him. So you might be thinking that sure, Jesus will lead us into battle. But won’t He do all of the fighting? Isn’t He the victorious King who wins the war? I would ask in return if you have ever seen a modern war film, either from recent history or ancient. Though the generals, commanders and kings lead the assault, could he possibly defeat every single foe by himself? And though Christ is the God-man (fully God and fully man), could He not wipe away the enemies with one movement of His hand? The answer is, yes, of course He could. But if you haven’t noticed, God chooses to use His people – whether Israel in the Old Testament, or the Church since the death and resurrection of Christ – to complete His work on planet earth. Ephesians 6:10-18 – Details for us the Armor of God. Maybe we think we’ll walk into those final battles following a Matrix-like training experience, where God simply “downloads” all of the information, technique and strategy we will need, right before we need it. As convenient as that sounds, we should take a more practical look at things. After all, if He is counting on us to fight the battle with Him, wouldn’t it make sense that He expects us to be responsible for our own training? Especially when He has given us warning of the battle (the book of Revelation), and a list of the weaponry to master (the Armor of God)? Abraham pleaded with God, to the point that it might be considered a back-and-forth bartering exchange, so that a city might be saved (see Genesis 18:16-33). If Moses had not beseeched the Lord for mercy on His own people, for His own reputation, He would have destroyed the people of Israel and raised a new one out of Moses, as a sort of second Abraham (see Exodus 32:7-14; Numbers 14:2-23). If Daniel had given up on his prayer, one that we might have given up on long before 24 days had past, that the enemy’s strongman (the spiritual prince of the kingdom of Persia) would have kept God’s angel from reaching him (see Daniel 9:1-14). God looked for “a man…who would make a wall, and stand in the gap before Me on behalf of the land, that I should destroy it,” but He found no one. So He poured His wrath upon His people (see Ezekiel 22:30-31). Take inventory of the weapons of our warfare. Have you accumulated all of them? Are they sharpened and ready for use? Are you skilled in them and your heart and mind prepared to use them? God is relying on us, and has given us all we need. All we must do is lay hold of them, make use of them, and thereby prepare ourselves for His use.